Evolving citizen and constituent expectations have created the imperative for government to digitally transform. Delivering on these expectations grows more challenging by the year, as the proliferation of modern technologies (e.g. SaaS, mobile, IoT) forces IT teams to rethink how to best deliver projects to their constituents and deliver on their mission. Microservices have emerged as a means through which government IT teams can increase project delivery speed without compromising on security. 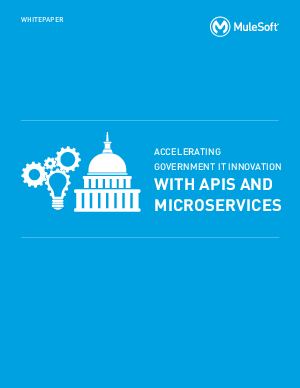 This whitepaper discusses the role microservices can play in government, and how API-led connectivity helps agencies to more effectively and securely implement a microservices architecture.